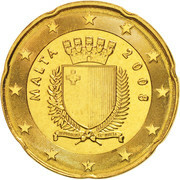 The coin features the Coat of arms of the Republic of Malta, with the inscription Malta on the left & the year (2008) on the right. 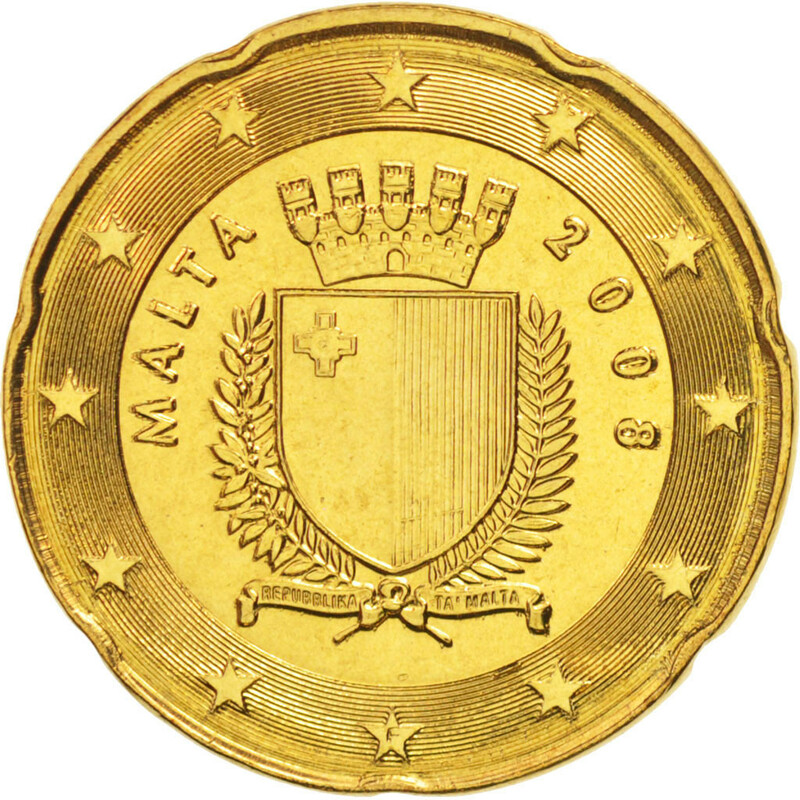 The coin's outer ring bears the 12 stars (signifying the Union of 12 countries initially into the European Union). 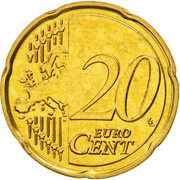 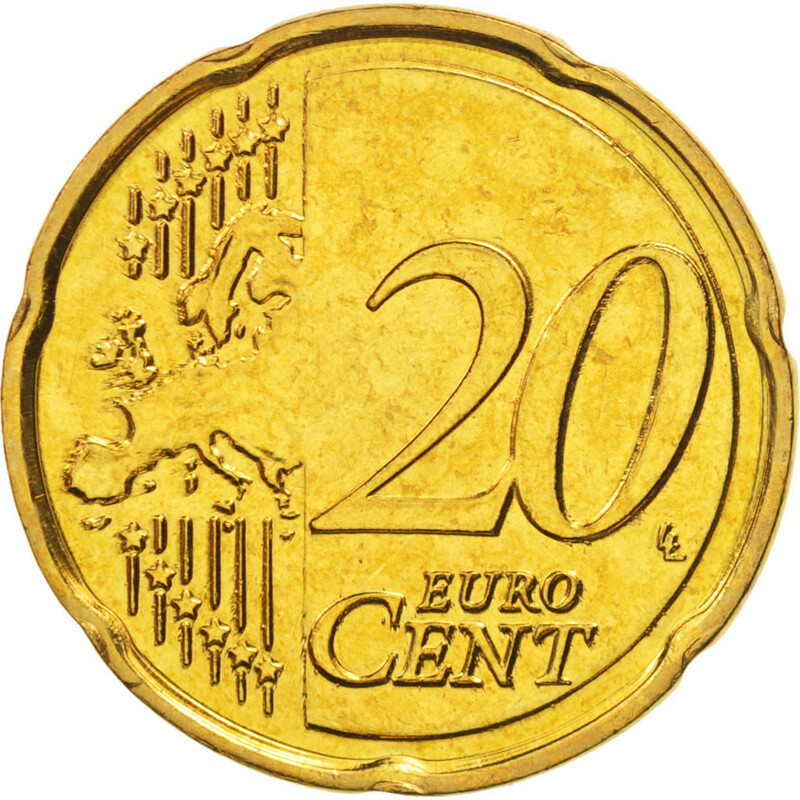 Right: The numeral 20 and the inscription EURO CENT.